Large airplane model of the Red Baron. Complete with the engine! Stunning vintage big sized Red Baron military aircraft – Model WWI DR1 Tri-plane – handmade airplane with wooden blade and engine – probably made in the late seventies. Detailed miniature plane for the man cave, office or boys room. Can be hung on the ceiling. Great piece for industrial style decoration! Manfred Albrecht Freiherr von Richthofen (2 May 1892 – 21 April 1918), also widely known as the Red Baron, was a German fighter pilot with the Imperial German Army Air Service (Luftstreitkräfte) during the First World War. 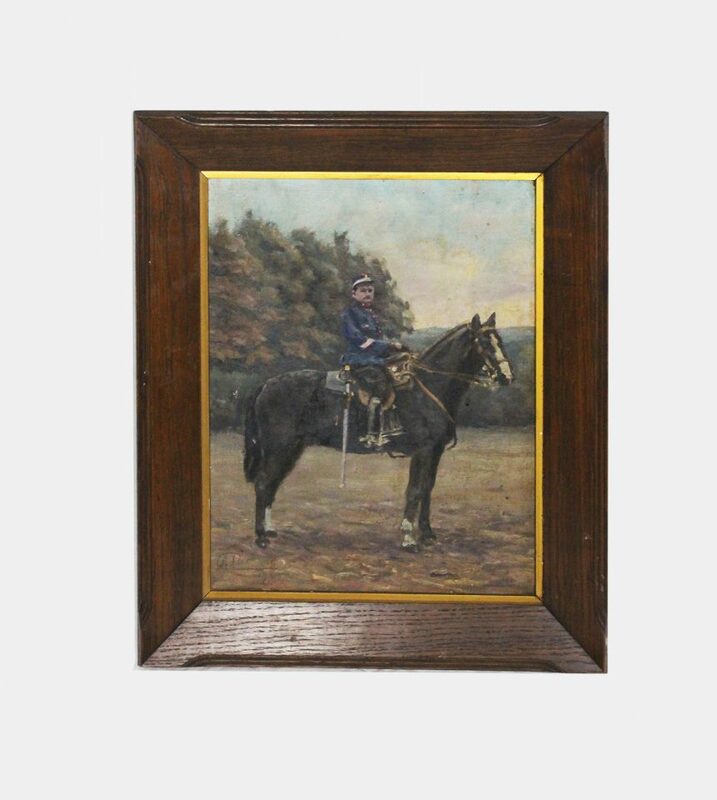 Originally a cavalryman, Richthofen quickly distinguished himself as a fighter pilot. By 1918, he was regarded as a national hero in Germany, and widely respected even by his enemies. Richthofen was a Freiherr (literally “Free Lord”), a title of nobility often translated as “baron”. 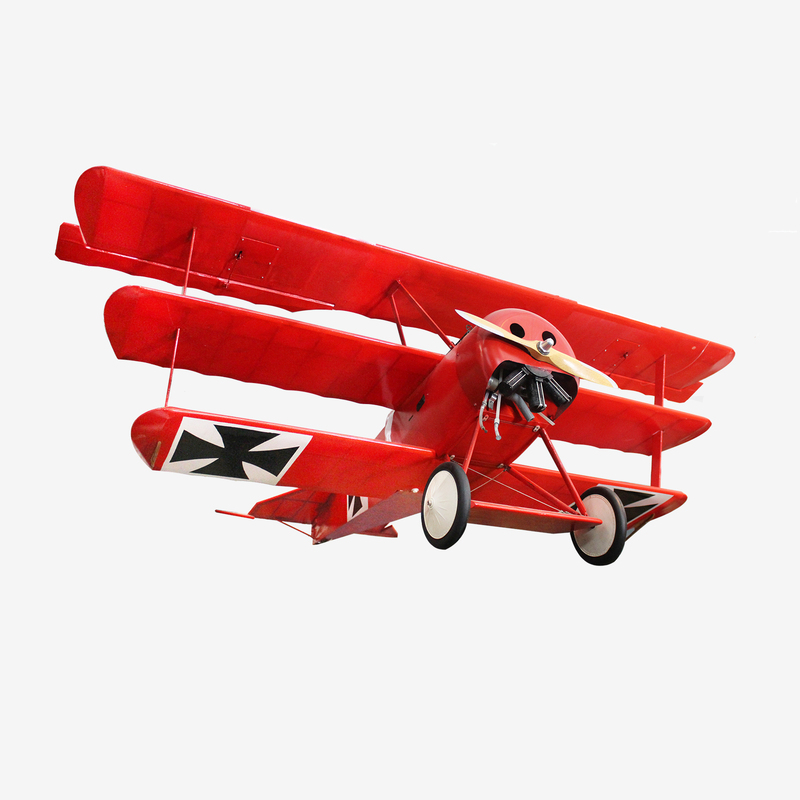 This title, combined with the fact that he had his aircraft painted red, led to Richthofen being called “The Red Baron” (“der Rote Baron”) both inside and outside Germany. Handmade model with real working motor. This stunning model is hand-built from scratch by an airplane enthusiast. It is a large model with intricate details and looks great hung from a ceiling. Wing span 210 cm. L 180 cm.